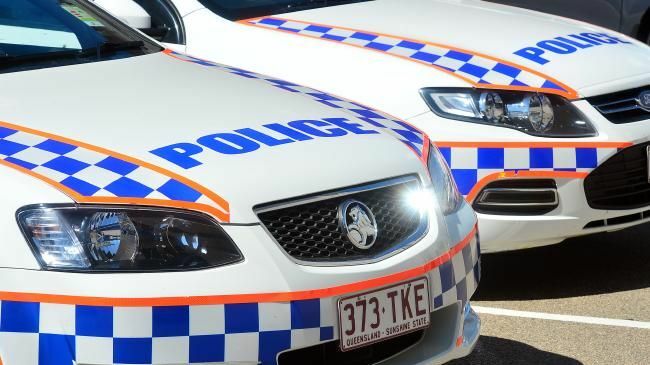 Officers followed the car but it allegedly failed to stop, continuing at high speed before eventually crashing into a pole under the Ipswich Motorway overpass at Goodna. THREE teenage boys have been charged after an alleged stolen vehicle was driven at high speed through the Ipswich area early this morning. Police will allege a white Audi hatchback, which had been stolen from Bundamba on December 19, was reported travelling along Jacaranda Street in Booval about 12.25am. PolAir was tracked the car as it allegedly travelled at high speeds, overtook vehicles through double lines, ran red lights and narrowly avoiding crashing into other road users. PolAir continued to track the vehicle through the Centenary, Logan and Mount Gravatt areas before it travelled back into Ipswich and a tyre deflation device was successfully deployed. The alleged occupants fled on foot but the dog squad tracked them to a nearby creek and home where they were taken into custody. A 16-year-old Riverview boy has been charged with unlawful use of a motor vehicle, obstruct police, driving unlicensed, receiving tainted property and burglary and commit indictable offence. A 17-year-old Camira boy and a 15-year-old North Booval boy have both been charged with unlawful use of a motor vehicle and possess utensil. If you have information for police, phone Policelink on 131 444 or provide information using the online form 24hrs per day.